belle maison: Karma Living Sale on Swirl by Daily Candy! Karma Living Sale on Swirl by Daily Candy! I discovered Karma Living at the last trade show I attended in Vegas and fell in LOVE with their beautiful line of home accents!!! 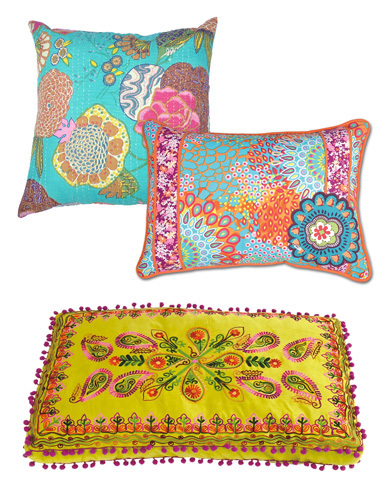 Pillows, curtain panels, accessories, blankets, and so much more...their products are bright, colorful and full of life! Swirl by Daily Candy launched a Karma Living SALE today on select home decor items, up to 55% off! If I know most of you, you're always up for a great deal when it comes to shopping, right? If you haven't signed up with Swirl yet, go here. Enjoy the sale and let me know which items are your favorite! 1. Assorted pillows & floor cushions from $19! 2. 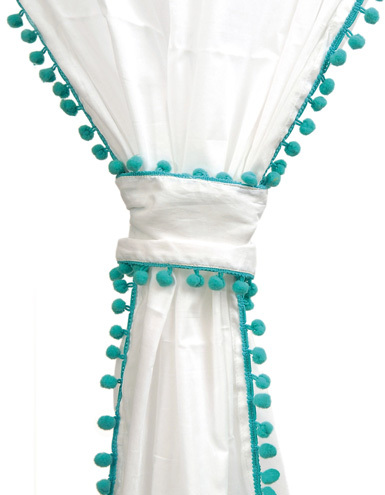 Turquoise Pom-Pom panel - $25! 3. 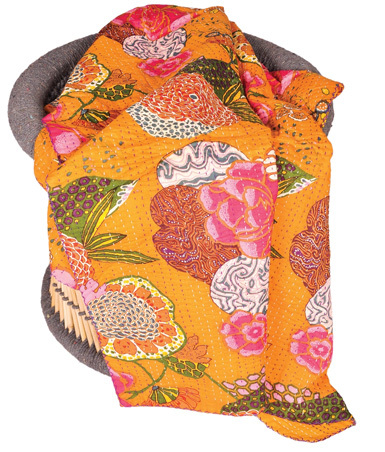 Stitched Floral Tapestry - $39! 4. 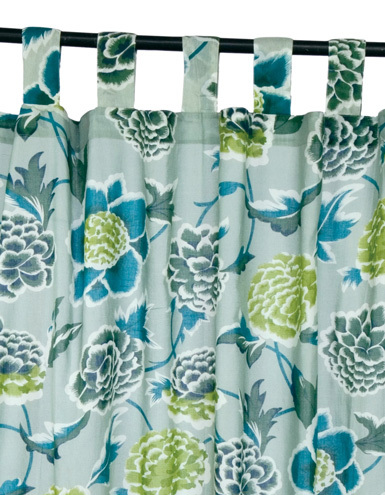 Chrysanthemum curtain panel - $25! Love the curtains and tapestry! In love with those pillows and the curtains!!!!! L.O.V.E. I love all the bright colors!!! So pretty!